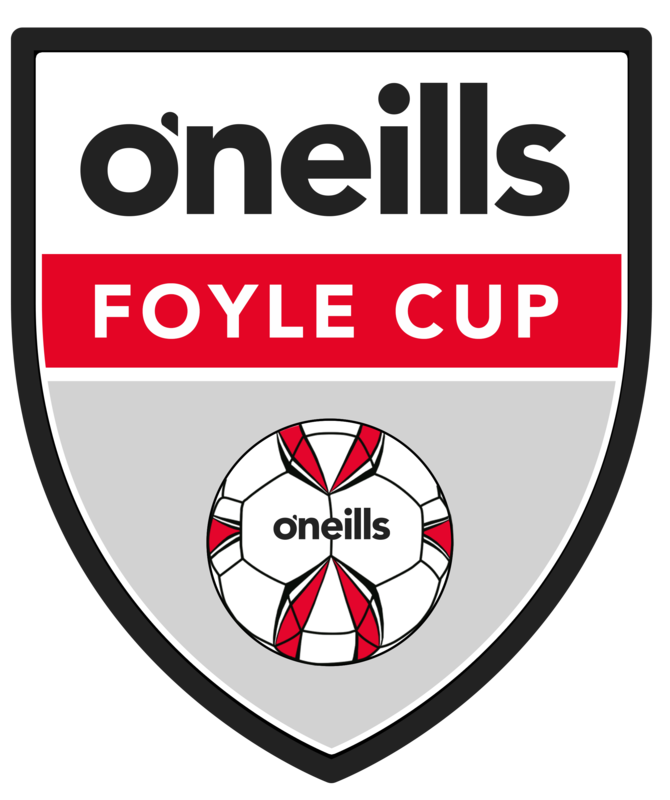 The 2018 hugely successful Foyle Cup competition will be held from July 16 to July 21, 2018. This increasingly popular youth soccer event, annually witnesses an increasing number of team entries, with no fewer that 344 teams having entered in 2017 tournament organizers are very confident of a further rise in entry numbers next year and are expending an invitation to all teams, North and South, to give serious consideration to entering this extremely well organized event. In 2018, as well as entries being accepted at 9,10,11,12,13,14,15,17 and 19, the event welcomes entries in girls and ladies competitions at 9,11,13 and 14 plus. It is anticipated that the new development in 2017, a Sports with Disability competition for kids aged up to 14 years of age, will witness a huge growth in entries with many enquiries having been received about the event. The event takes place in various venues throughout Derry & Strabane District Council, Causeway Coast and Glens Council and through towns and villages in Donegal and the format and structure of the Foyle Cup tournament is one which gives every participant the chance to play as much football as possible as well as affording them the time to experience what the North West region and Donegal has to offer in terms of visitor experiences. Whilst there are many age categories to enter, Foyle Cup, is about more than the football. Camaraderie, friendly rivalry and superb hospitality from the local population will make your visit to the 2018 tournament one to remember. There will undoubtedly be a high standard of entry but with the tournament played in the Olympic spirit – ‘It is not always the winning that is important, it is the taking part,’ participants are catered for at every level. For tournament organizers, Derry & District Youth FA Chairman, Michael Hutton, the 2018 tournament will be without doubt the best ever. The competition has gone from an 8 team one day competition in 1992 to a 6 day festival of football, attracting over 340 teams and is undoubtedly Ireland‘s most sought after competition. “How do you judge success? The tournament has to be judged on the experience of the teams and visitors to the city for the week long event and their desire to return in future years, together with the high standard of organization and playing pitches. I can assure all concerned, that the Foyle Cup 2018 will witness a huge influx of teams which have competed in the event in previous years –Celtic, Norwich, Sheffield Utd, Partick Thistle, Hearts, Hamilton Academicals, FC Dallas, Tampa Bay Rowdies, Everton America, GPS Soccer Academy, – happy to join us for a festival of football – plus a host of teams competing from Europe, – TUS Altenborg( Germany ), ( France) Fd Suomi ( Finland) to name but a few. Mr. Hutton continued, “I always take great pleasure in watching the parade through our city centre each year. This parade brings together so many of our youth under the banner of sport – kids from the Shankill, kids from the Falls, kids from the Fountain, kids from the Bogside – kids of all colours, creeds, nationalities, all parade together under the banner of sport, happily marching through our city to Guildhall Square, to be welcomed to the event by our Mayor. In 2017, the honour of leading this parade of 5000+ kids was afforded to our two Sports Disability teams, Oxford Red Bulls and Sonic Sion Swifts. N Ireland needs much more of this experience. Youth sport especially, can do so much to heal the division in N.Ireland and bring our people, irrespective of religion, age, race or colour, together to enjoy what is good about our youth. The Foyle Cup tournament is supported annually by Derry City and Strabane District Council, Causeway Coast and Glens Borough Council, The Executive Office, Dept for Communities, Tourism NI, Inner City Trust, Seagate, Brunswick Movie Bowl and Derry Credit Union. .